Healthy Family, Happy Life: How Do We Find Peace After Ferguson? 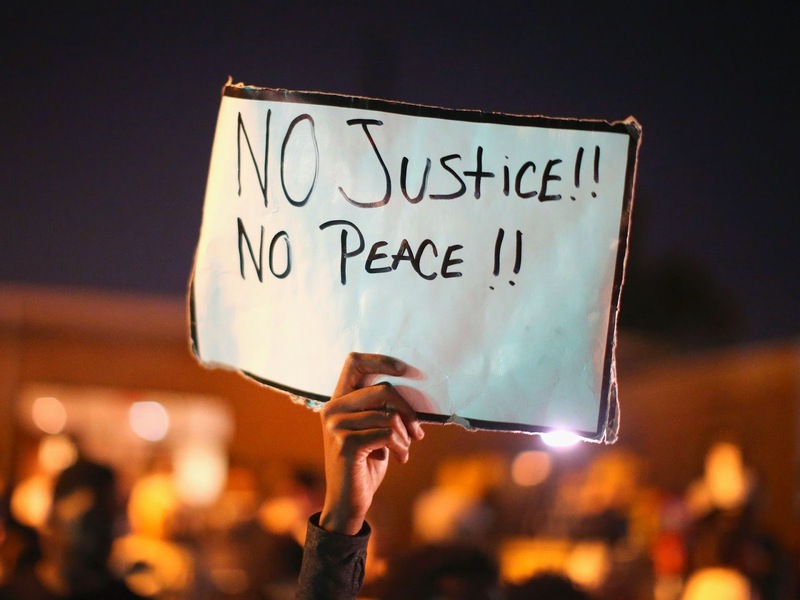 How Do We Find Peace After Ferguson? Mike Brown. Ferguson, Missouri. August 9, 2014. A Tragedy. The need to seek justice creates very strong and powerful emotional responses in us human beings. At the same time I cannot imagine that Dr. Martin Luther King, Jr. would not have endorsed or been happy about all of the rioting that took place in Ferguson, Missouri. He would have been a part of an organized protest and he would have cautioned people to seek peace yet let God have the last word. In my latest book, "Healthy Family, Happy Life: What Healthy Families Learn From Healthy Moms" I devote a chapter to helping families teach peace because I believe a peaceful heart and soul is a necessary requirement for health. I named the chapter, "The Significance of Loving Others" because unless we can love others for who they are we will never find peace. I believe that the mother is the heart of the home and I am thankful and grateful that I have been able to raise my (now grown) children as accepting, peaceful, and loving individuals. I think a lot of this has to due with their being raised to understand and appreciate people from many cultures, creeds, colors, beliefs, and religions. As Christians, my family tries not to judge people for having different beliefs than we do, but instead, without losing ourselves or our beliefs and positions on life's most important issues, we try to love unconditionally those who God has created different from us. I know that this started early in life as my husband and I talked to children, prayed for and with them, as we prayed together for others. I strongly believe the issue of helping to create peace in the world is greater than just tolerating another person. Our actions must transcend tolerance and instead embrace a spirit of love and acceptance, even when people believe or look different from ourselves. One of the most rewarding and inspiring things I have done in my life is to align myself with the The Global Peace Foundation and The Coalliton For American Renewal I have been blessed beyond measure to share the speaking platform or special times over a meal with my Muslim, Jewish, Hindu, and Buddhist friends who all come together several times a year for one purpose: to try and create more peace and harmony around the globe. A highlight for me is when I get to address international audiences sharing the subject of first practicing peace within ourselves and peace in our home. I am passionate about my assertion that peace begins with me. From there it translates into family peace, neighborhood and local peace, national peace, and finally global peace. How can one expect to find peace outside if they don't have it inside? And of course loving ourselves and loving God are equally as important as loving others; two other subjects I address in my book. We are all "one family under God" and Jesus told us to "love your neighbor as yourself." It's important to keep in mind, our neighbors are not just the ones that we live next door to. Our neighbors are every single person who we come in contact with. What can you do today that can promote peace? The sign above is from the protests that followed the tragic killing of Mike Brown in Ferguson, Missouri and I believe it's words are meant to enlist more unrest and disharmony. If we look to the teachings of all the great men and women who have gone before us, those who were the embodiment of peace, I hope you can agree that I the sign might do more good if it read, "No Justice, Find Peace (anyway)"
How do we find peace after Ferguson? We find it by coming together with our families and our neighbors and by leading honest discussions about love and acceptance. We teach peace. We pray fervently like the peace on this earth depended on it. We attend great peace-keeping rallies, festivals, conventions, and conferences like the one coming up September 19-21 in Washington, D.C. called The Global Peace Leadership Conference. “ Darkness cannot drive out darkness: only light can do that. 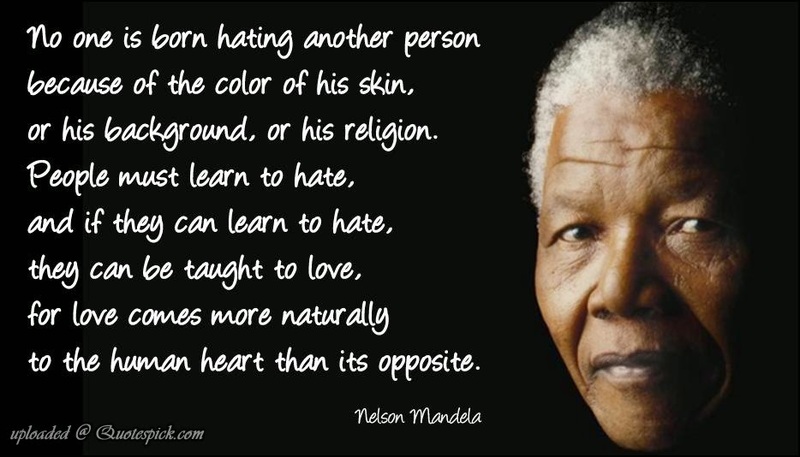 Hate cannot drive out hate: only love can do that. ” Dr. Martin Luther King, Jr.